As someone who (as far as I can tell) is a fairly orthodox and conservative – I would say evangelical – Christian, what should I make of the frequent reference among my peers to the “verbal” inspiration of Scripture? I’ve blogged previously on inerrancy, and it rubbed some people the wrong way (which doesn’t bother me). Basically, my position is that the strong view dubbed “inerrancy” in the Chicago Statement on Biblical Inerrancy is mistaken. Instead, I said that a Christian can (and I think should) take the stance that what the books of the Bible, all things considered, teach, is what is true about them. This means, for example, that if there was the occasional slip up on the writer’s part that resulted in errors of fact existing in the text, my view of biblical authority just doesn’t care about those errors (if there are any) provided they don’t detract from the teaching of Scripture. Numbers, dates, locations, lists of people, even scientific beliefs, these are all things that can be expressed, can be mistaken, and yet can simply fail to matter when we’re asking what is really being taught. How old was so-and-so, exactly what year did such-and-such happen, who was there at the time, what shape is the universe – or the earth – these are all the kinds of issues that might be relevant here. I part ways with Chicago-style inerrantists over issues like this. I do maintain, however, that there are plenty of people who still call their view “inerrancy,” and who try as hard as they can to explain that their belief is compatible with the Chicago Statement, but who in fact really agree with me over the level of error that may well exist in the biblical documents. Still others use the terminology of inerrancy, but do so recognising the kind of errors I’m talking about. In other words, they don’t use the term “inerrancy” in the same way that the Chicago Statement did. I submit that a huge number of evangelical (I include here Protestants and Non-Protestants alike) Christian academics who use the term “inerrancy” to describe their view are actually in this camp. I have no beef with what these people actually believe about Scripture. After all, it’s what I believe. I just think they’re being less than helpful to use the same language that is used for a different point of view. But setting all that aside, there’s a point to all this. Some people use the term“inerrancy” in a weaker sense than was originally intended by those who penned the Chicago Statement, so that a term that means “without any error” can come to mean “with some errors, but none that matter.” I think the same thing is going on when evangelicals use the term “verbal” inspiration, which is the point of this blog post, and the focus of a genuine question that I want to put out there. The phrase “verbal plenary inspiration” (VPI) is very dear to the hearts of many evangelicals. “Plenary” just means “full” or “total.” There is more than one way to think of Scripture being inspired by God, but VPI is the very strong view that all of Scripture is verbally inspired by God. Verbally. 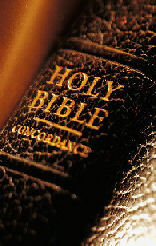 If you believe that every part of the bible is not just inspired but verbally inspired, in other words, every (plenary) word (verbally) is inspired, then how do you avoid the conclusion that what we have in the Bible (or at least in the “original documents”) is a word for word dictation where the author’s style and personality make no difference to what was actually written? Here’s the kind of answer I’m hoping to avoid: “Oh come on Glenn, you’ve got to let the people who use the term VPI define all their words. When they say ‘verbally’ they don’t mean that the way it sounds. They just mean that the truths expressed in the Bible are inspired.” The reason that I don’t want that sort of answer is that it’s a word game, and it engages in the type of contortion I was talking about earlier. An answer like this essentially recognises that the word “verbal” is not correct after all, and if that’s what you think, then that is what you should say up front. So that’s really my question. Again: If you believe that every part of the bible is not just inspired but verbally inspired, then how do you avoid the conclusion that what we have in the Bible (or at least in the “original documents”) is a word for word dictation where the author’s style and personality make no difference to what was actually written? I genuinely want people to answer – recognising, of course, that I don’t share your view, and that my not doing so even after your response should not be construed as animosity. I really want to know why people use this terminology. I will also admit my agenda: I want people to stop saying that they believe in verbal plenary inspiration, because in fact they do not. I am bothered by the fact that, as with the term “inerrancy,” there are people who use the term “verbal plenary inspiration” to describe their view because it endears themselves to the evangelical establishment and it enshrines terms that have come to hold a great aesthetic importance, like a cherished hymn that people don’t really believe, but have come to love for old times’ sake. All Scripture is… just handy? Posted on October 28, 2011 November 27, 2018 by GlennPosted in theology and biblical studiesTagged Bible, inerrancy, inspiration. Next Next post: Episode 044: What is Faith? Wow, I didn’t even know such people or such scholars existed where they believed God essentially verbally dictated to them the texts. Doesn’t that make a mockery of texts such as Luke 1:3 where he gives the reason for writing what he did by saying that it simply seemed like a good idea to write an orderly account. Is he lying then? Or did God tell him to write down the words so that it looked like it was his idea? Seriously, this is weird. So now I’m curious too. Any VPI’s out there? Andrew, most people who affirm VPI want to distance themselves from belief in a dictation theory of inspiration. They don’t affirm that. What I’m trying to ask them here is – why not? If they actually say that God verbally inspired all parts of Scripture, then how can they avoid something like a dictation theory of inspiration. It seems to me that the only way they can is by basically gutting the word “verbal” of meaning. Would you be referring to the Answers in Genesis kind of thinkers? I enjoy your blog/podcasts a lot and wish you luck getting a job in academia one day! He then goes on to give some examples of how long serving secretaries can come to master their boss’s thoughts and style and how this is similar to the gospel writers etc. I don’t know if this actually answers your question but there it is. I think Erickson is in an awkward spot there. If he means that biblical inspiration is based on familiarity, like a secretary getting to know a boss, then a couple of issues present themselves. The first is that Scripture itself becomes inspired by the memory of what God is like in terms of the kinds of words that God normally uses. But what words does God normally use? If we’re trying to find verbal inspiration in this example, we would have to say that the writer remembers the way God spoke (verbally) in the past. But the trouble is that the inspiration of Scripture is about what is said, and God has said all kinds of things in the past, by many estimates. Knowing how God speaks (i.e. what God has said before) is not going to tell the writer what God now wants to say. What’s more, even proponents of inerrancy have always wanted to say that how God speaks is different for each author because somehow their style and personality shines through – and the style of each writer is clearly different. But if verbal inspiration is to be shored up by pointing out that the writer is familiar with how God verbally says things, then how the writers of Scripture say things is what they would have in common. The trouble, of course, is that this is precisely what they don’t have in common. So if Erickson’s going to define verbal inspiration as inspiration right down to the very selection of every word (as he seems to – but he doesn’t quite manage to make it “verbal” in the regular sense of that word), I really think he has to give up on his attempt to explain this influence in terms of familiarity, or the long term affects of a life of devotion. Those things in no way guarantee things like word selection, since it is possible to express the same combination of ideas with very different words than those used (indeed, some biblical writers do express the same idea as other biblical writers with different word sets, and even quite different vocabularies. I just don’t see anything verbal about the inspiration Erickson is describing. Would you agree? It might be more fun if you don’t, but who knows, you might! Ciaron, I don’t really know what AiG have to say about the nature of biblical inspiration in general actually. I don’t know what the thought process was behind using the word verbal to describe this sort of view. Erikson himself says that this is a form of ‘thought control’ and that “…at the actual point of writing God directs the thoughts of the author” Quite how this is different from ‘dictation’ I don’t know. The only difference I can see is that that God didn’t himself come down and dictate the Bible, instead just possessing the author’s mind as it were! I would be interested in your response to a few of his arguments that he puts forward for why we should consider that every word in the bible is infallibly inspired. Other examples Matthew 22:32 (where Jesus quotes the ‘I am the God of Abraham, the God of Isaac…” passage. Matthew 22:44 “The Lord said to ‘my’ Lord” Galations 12:7 “It does not say. ‘And to his offsprings’…but…”And to your offspring”. Does this not show that Jesus and Paul regarded the choice of words and even the form of words as having been guided by the Holy Spirit? 2. Jesus attributes to God statements which in their original form in the Old testament were not actually uttered by God himself but were part of the narrative. Eg: Jesus saying ‘Have you not read that he who made them from the beginning made them male and female…” He then quotes Genesis 2:24 which in Genesis is not an actual quotation of God. Also Acts 4:25 quoting Psalm 2:1-2, Hebrews 1:6-7 quoting Deuteronomy 32:43 and Psalm 104:4. I think he might very well have a point. What sayeth Thou? I hear the way VPI is defined here and I tend to think of how many conservative Muslims explain the dictation of the Quran via Muhammed. I am not saying this is what those who use the term mean exactly, but at first read that’s what comes to my muddled mind. Having said that, I would agree that it’s important to clarify all of this, as words have meaning and in a culture awash with post-modern thought, it’s doubly important we put proper and consistent meaning to the words we use. I appreciate Glenn’s concern for vocabulary. I may be mistaken, but I believe that William Lane Craig defends VPI within the framework of middle knowledge (this is based on memory of a podcast I listened to well over a year ago – hence my uncertainty). According to my understanding of what he said, God, based on His knowledge of all possible worlds, actualized the world in which the writers of scripture freely wrote exactly the words God wanted written. So they wrote in their own style out of their own knowledge, but the words were exactly what God wanted written. As presented here, I don’t personally see where the “inspiration” part of VPI is in this view, but I thought I’d throw it out there since you were asking for defenses of VPI. I’m pretty sure WLC is just plain molinist. It’s his doctrinal version of splenda, he puts it in everything. I kid, though. 1. If we want to know how to read the bible, we should observe how Jesus read it. 3. Therefore we should read it that way. VPI just seems to beg the question, though (it smuggled in a hermeneutic to arrive at its conclusion). Perhaps there is a better way to formulate an argument for it, for charity’s sake. 1. As far as exact word choice goes, the Gospel writers who recorded those words of Jesus, and Paul as well, substituted Septuagint versions of the Old Testament passages they quoted for the Hebrew originals, and they clearly had no problem with doing so. Now, the Septuagint sometimes uses different wording from the Hebrew. Obviously not radically different (as it is a translation), but sometimes quite clearly different in a way that has at least some effect on meaning. So while the use of key terms is going to matter, this should not be taken to extend to the selection of every single word, otherwise it’s hard to explain why these writers would have happily used a version that we know differed from the original. What’s more, it seems clear enough that the fact that some OT sentences are theologically significant doesn’t mean that all of them are. The fact that these specific details matter is compatible with my view that other details do not matter (e.g. beliefs about the shape of the earth or the universe, numbers of people, mundane details of fairly unimportant events etc). Why would this difference matter, even though verbally it’s not the same? I think it’s fair to say that if our existing form of Genesis 2:24 is a message from God, then so is this because it conveys the same message. So this isn’t really an argument that Jesus believed in “verbal” inspiration. It’s just an argument that Jesus thought the Scripture is inspired. Hello, Glenn’s little friend. What is it with Christians and guns?! Thanks for the response Glenn. Right so the inerrancy would apply only to the actual teachings of scripture (or of a passage) and not to the form of words in which it is expressed. But isn’t this a rather innocuous difference? If God is going to ensure that the teaching in any given passage accurately communicates truth then all that’s left in terms of own author’s contribution is simply to express that truth using his own vocabulary, style etc. Scripture is still inerrant. You said in your response that “The fact that these specific details matter is compatible with my view that other details do not matter…” But if the writers of the New Testament felt they could base entire arguments on incidental details (such as the use of the present tense in Matthew 22:32 or the plural in John 10:35 and Galatians 12:7) then they clearly felt even these minor details of scripture were still teaching us something true (even if that teaching could have been expressed with other words). They did not seem to consider the possibility that these small details ‘do not matter’, or that they were simply the result of the original author’s own thoughts style etc. The clear implication seems to be that they felt not just the overall teachings of scripture but even the incidental little details were inspired teaching and could be relied upon. What justification therefore for thinking some details do not matter? I myself do not actually have a settled view of scripture, I am here just playing the devils advocate (as you say its more fun). I’m not even sure what justification there is for thinking that scripture is inspired full stop. What are we concluding this doctrine from? And how do we know that one document is scripture and not another? (Catholics for example accept the old testament apocrypha as inspired, protestants don’t). This is an area I am still working through. Glenn, I apologise unconditionally. I do believe that you may have misconstrued my comment which was intended as a friendly hello, not a “drive by linking”. (I stopped long enough to read the above post and comments in their entirety!) I visited because I share your belief in Christian Physicalism. Actually, I’d appreciate it very much if you’d point me to where you defend this view. Again, my apologies. Ross, my view isn’t that no minor details are important, or that we can assume that minor details aren’t correct. So the fact that a particular New Testament writer draws our attention to a fine detail in the Old Testament doesn’t tell against my position. What it tells us, I think, is that the writer considered that detail to convey a feature of biblical teaching. My position is that not all such details do so contribute, and some details, unlike the ones these writers are highlighting, are merely incidental background details, whose fine accuracy isn’t so important. Now of course there’s work involved in figuring out which details are really the ones that form the teaching of Scripture, but then that has always been the task of the interpreter, to ask “what is really being said here”? This, really, is why I wouldn’t say the difference between my view and VPI is innocuous, or as some might say, a distinction without any real difference. If there are unimportant background details that may or may not be perfectly historically (or scientifically accurate), and a person also holds to VPI – the verbal inspiration of every word in Scripture, then we’re left to conclude that God, for some reason, chose to verbally inspire minor claims that aren’t quite correct. My position avoids this altogether. Probably the place where I say most about physicalism is in my podcast series called “In Search of the Soul” on philosophy of mind. The best way to get it is probably with the “subscribe via iTunes” button over on the right, if you use iTunes. Otherwise…. Questions could be asked about what criteria you would use to do this, but overall I can see it makes sense. What about the view that God let the writers of the bible write whatever they wanted, but if he saw them use a single word that he didn’t like, that he changed it, either by Holy Spirit prompting or by actualizing a different universe. Would it be fair to describe that view using the word ‘verbal’? colin, So Universe A is rolling along nicely, then God actualizes universe B? is that what you mean? Whatever you do mean, no, there’s nothing verbal about that since it’s reactive. God doesn’t give the words, for the most part. So, consider the scenario where God verbally (in whatever sense you prefer of the word) told Luke to write a gospel, and during the process God proof-read every single word Luke wrote, and verbally corrected any words or phrases He didn’t like. Wouldn’t it be fair to describe that process as verbal plenary inspiration? Colin, in your example do you mean Luke thought it up and God edited it? Colin, I don’t think that’s plenary. “Plenary” refers to every part. VPI means “verbally, and in every single part, inspired.” Verbally telling someone to write a book isn’t the same as verbally telling them what to write. So in that case God’s choice of corrected words is still a morphing of material that he didn’t (in any verbal plenary sense) inspire. It’s close, but it’s still God reacting to what Luke would otherwise have chosen. What’s more, those who embrace verbal plenary inspiration seem to want to say that Luke wrote in accordance with his free will, and wasn’t second guessed after he had made a choice about what to write. That seems to me to make the inspiration even less verbal than your version. Just to be clear, we’re not talking about an inspiration that is verbally plenary, right? We’re talking about a plenary inspiration that is also a verbal inspiration. And the assertion that VPI implies “verbally telling them what to write” is what you’re trying to prove isn’t it? Also, my version doesn’t necessarily imply that anyone was “second guessed after he had made a choice”. Other possibilities include molinism, or the belief that the Holy Spirit is able to influence a person without them being aware of having changed their mind. Or maybe it was Luke’s free will choice to welcome the corrections of his Holy Spirit editor. Right, we’re talking about a plenary insiration that is verbal. So it has to be an inspiration of all parts of Scripture, and it has to be inspiration that is done verbally. And in the example you gave, Colin, you spoke of the Holy Spirit correcting the parts he didn’t like. The question is, what parts? Unless Luke, on Molinism, freely chose words that the HS didn’t like, there was nothing to correct. Was there? First, Craig accepts Wolterstorff’s view that the Bible is appropriated divine discourse, God appropriates the writings as a whole and so uses human texts to make speech acts of his own. Second, God from the beginning of creation knew by middle knowledge exactly what words the author would write if he actualised the world, this he grants is equally true with every other book in the world. When you put these two points together you get that God in creating the world choose in a molinist sense of providence, the exact words that would be in the book he appropriates. Its in this sense he defends VPI. See Matt, I can see how that would be plenary. I just don’t think it’s helpful or clear for him to call it “verbal.” I fear that using the word “verbal” has become a case of people having a “shibboleth” that they have to use when describing their view of inspiration, out of fear of not being accepted by evangelicals. The other thing that makes Bill Craig’s view on inspiration different is that it appears to make every book just as inspired as the Bible, since as you mention, God actualised a world in which he knew what every writer would write in every book. So in addition to not being verbal, it’s not what most of us think of when we think of inspiration at all. I guess I just don’t see why this needs to be an opportunity for someone to give “a middle knowledge perspective” on inspiration, as though everything has to be described in molinist terms. Doing so here, I think, isn’t helpful to the notion of inspiration. Right, but it doesn’t follow that every word of scripture has to be verbally inspired. Maybe when God molinized the universe, he took into account that the Holy Spirit would be around to influence Luke’s writing on the fly? So he actualized a universe in which, if the HS was absent, would have resulted in a bible he didn’t like. But also one in which the HS wasn’t absent. Glenn, not in huge disagreement with you here, only on the last point I think Craig would rejoin that he the difference between other books and the bible is God appropriates the bible. So he is providentially guiding the formation of the book he himself appropriates. Of course this leaves a lot open, Wolterstorff for example, quite plausibly argues that when a person appropriates anothers writings its not always the case that what the appropriated discourse said is the same as what the appropriating discourse says, people can use others comments in new contexts to say things other than what the original author stated, and this leaves open the idea that what the original author said was errant but that what God teaches with the original authors words is inerrant. Wolterstorff for example explictly seems to endorse this idea. Sure it does, Colin. It follows deductively. If there is to be so much emphasis on every single word in the NT , don’t you think Jesus would have prepared us for this? What He did prepare us for is that the disciples were to teach. Not write. I think we can assume that the NT is what the disciple taught. So my point is that we apply the same scrutiny to what is taught, to what is written. Now, do we think that the disciples had carefully planned word for word sermons that had to be dictated exactly and percisely to be authoratative? I argue for thought , not word. Glenn, you know I don’t hold to VPI but I’m wondering what you would say about 1 Corinthians 2:13 and it’s reference to words taught by the spirit. Giles, in context Paul isn’t even talking about Scripture, he’s just talking about the teaching ministry in the church. I’d take “words” fairly generally to refer to teaching (and this is a Pauline thing too, cf Paul’s reference to a “word of knowledge” in 1 Corinthians 12). Glenn, I’m not a believer in VPI or any other form of inerrancy, but I think VPI can be understood in roughly the same way the Catholic doctrine of papal infallibility works. When a Cardinal is elected to become Pope, he doesn’t suddenly become smarter or incapable of holding false beliefs. He’s not changed in any way. Infallibility isn’t supposed to be a charism of any sort. It’s a matter of providence. So, if a Pope actually sets out to teach (ex cathedra, etc.) a false doctrine, something happens to prevent him from doing so. Perhaps he has a seizure or a grand piano falls on him. If this same model is applied to VPI, along with the ancillary assumption that there’s more than one way to phrase most truths, then scripture can be inspired and inerrant, in a literal word-for-word way, without bypassing the writer’s individual word choice. It requires only that the writer be prevented from writing, or at least publishing, errors. Maybe, for example, the missing first letter to the Corinthians is missing because it contained errors. Maybe it never got delivered. Non-Catholics have to believe in this kind of providential protection anyway, in order to believe they have all and only the “right” texts in the Bible. I don’t know, Todd. Is the Pope described as having verbal plenary inspiration when he’s giving an infallible pronouncement? If not every (plenary) word (verbal) that he gives at the time is inspired, then how could he be so described? I agree that there are many ways to parse the same truth, and that’s part of the reason why VPI is not required. I’d much more readily say that the truths are inspired, rather than the exact way of expressing them. Glenn, the more I think about it, the more I realize I don’t really understand what VPI is. Does it come down to “channeling God”, without (perhaps) knowing it? My idea was simply that the writers were allowed to use any words they chose, but providentially prevented from writing error. Maybe that’s just not “plenary” enough. Aha. Just saw your reply! Thanks, I think that’s right. Even VPI/inerrantists don’t affirm dictation so they must affirm some kind of indirect teaching of the words, assuming they apply this passage to scripture. So why not say the spirit teaches the words by teaching the truths they express? I am ever so glad to read this post since it echoes my own thoughts. Personally, I have no difficulty in thinking that God allowed the biblical authors to use their creative abilities to “create” their literature. I think the concern over defending the inspiration and inerrancy of the Bible is born out of our modern way of thinking that truth is bound up with nil factual error in all its propositions. Also, there is a theological concern that if the Bible is seen to contain any error whatsoever then its testimony to God is nullified, or God himself is also somehow in error. But what if God choose to use the human authors despite (or even because of) their frailties? Could it not be that he sees the errors but he uses there works anyway to point to him? That is how he likes it. I can think of examples where God uses human weakness in other contexts. At times I feel tempted to argue that “inerrancy” ought to be a term use only of God and not the Bible. And, like you, I agree thoroughly with your observations regarding VPI. Anyways, if this post is a foretaste of what you will say on the these issues then I am looking forward to reading more and learning from you. Glenn, I sincerely apologise for adding a comment so late but as one who shares your view (I’d call it didactic plenary inspiration) I am wrestling with Mathew 5:18 that not one jot or tittle shall pass from the law. My own inclination is to read that in the light of the two versions of the fourth commandment (Exodus 20:8-11 and Deut 5:12-15) When Moses rephrased “Remember the sabbath day…” as “Observe the sabbath day …” do we accuse him of misquoting God (both versions being represented as quoting from the same divine message) or do we acquit him on the grounds that the sense of the command is unaltered. If the latter then might we not say that Jesus in Mathew 5:18 is saying that even the finest detail of God’s message is sacrosanct rather than teaching that each letter is inspired? That said, on the face of it, don’t Mathew 5:18 and Luke 16:17 seem to support the doctrine of VPI?